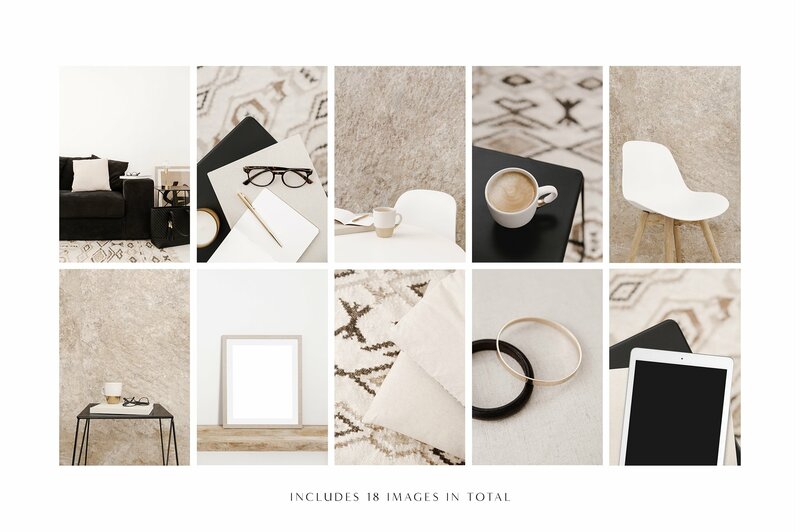 Styled stock photos created with the design conscious entrepreneur in mind. 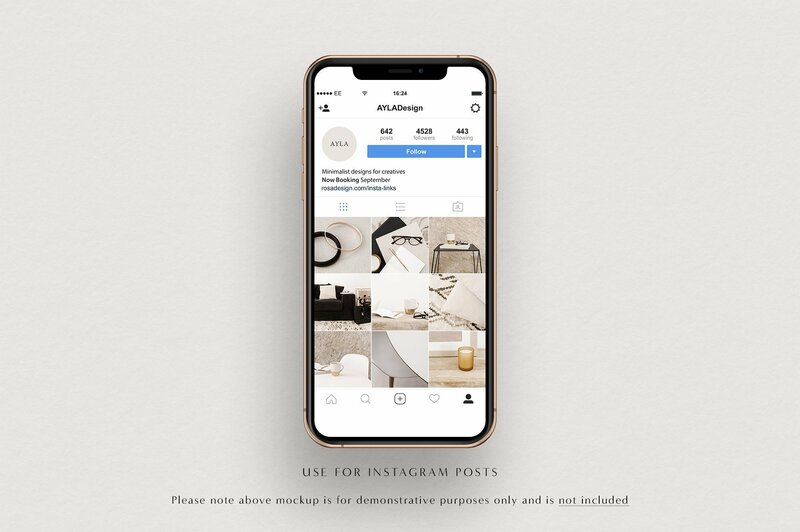 A collection of minimalist home office and lifestyle scenes set within a palette of warm neutrals, monochrome and accents of gold. 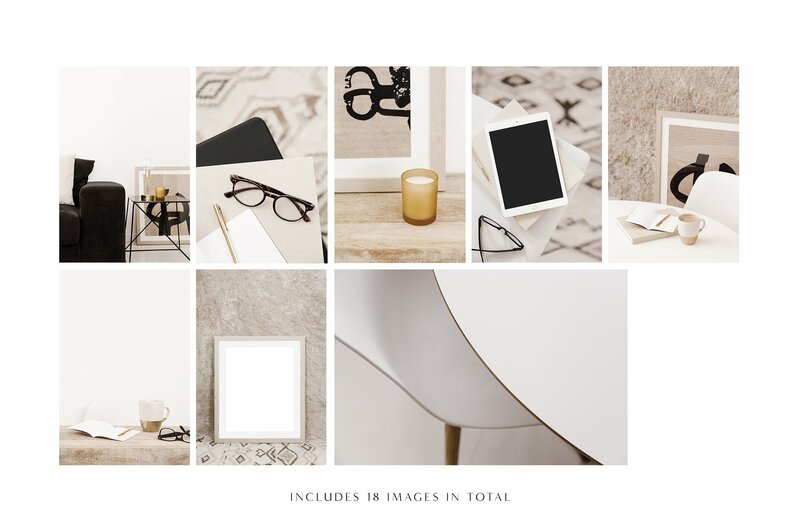 This set would for perfect for any creative entrepreneur and is ideal for Instagram! 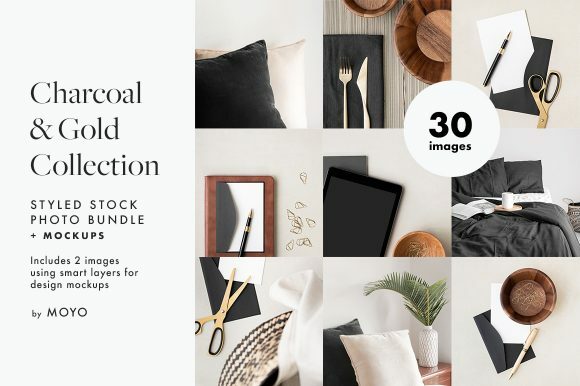 Included in this bundle are styled scenes, flat lays and lifestyle photos, offering images that deliver both functionality and authenticity. 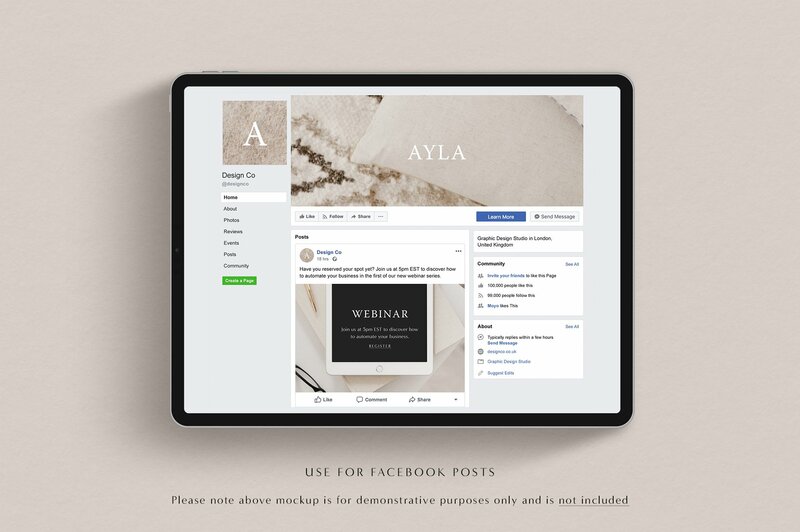 From your website, marketing, social media profiles – the bundle covers all bases for a cohesive and stylish brand image package. 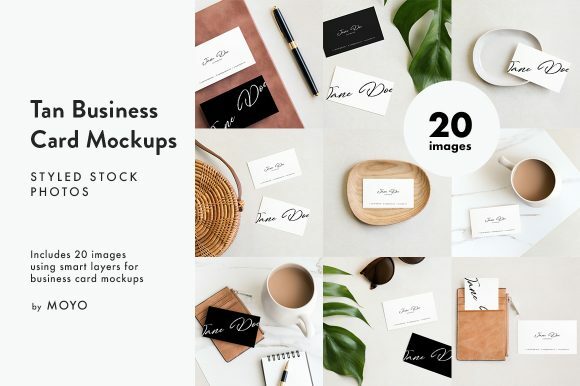 This collection also features 4 Photoshop files that contain smart layers, so you can customise the images to reflect your brand and business. 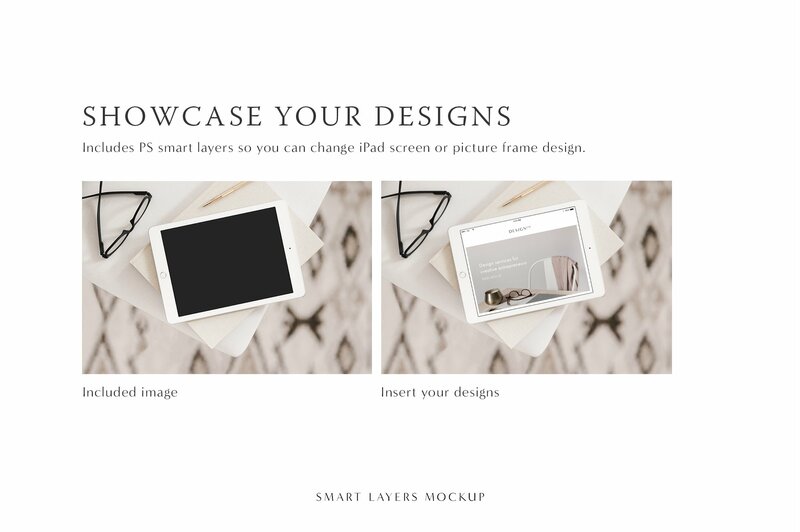 Showcase your designs and website in the iPad mockups or your artwork and quotes in the frames! 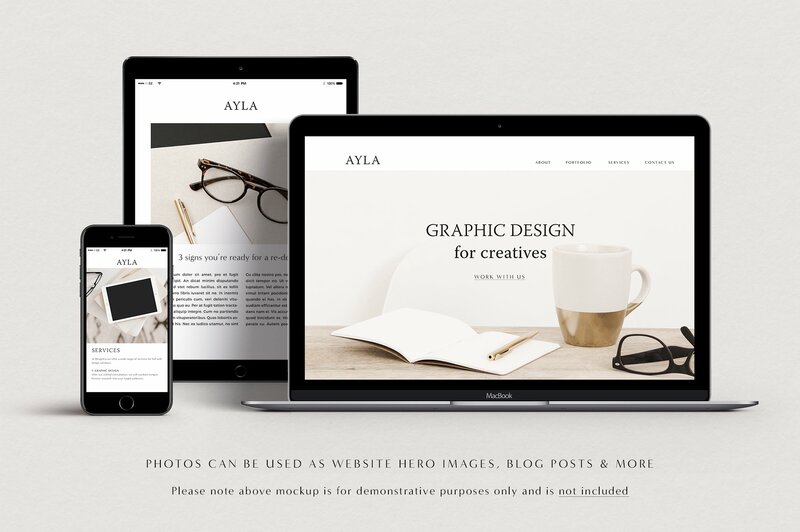 These high resolution images can be used as hero images on your website, as blog post featured images, banners, to enhance your social media profiles and much more. 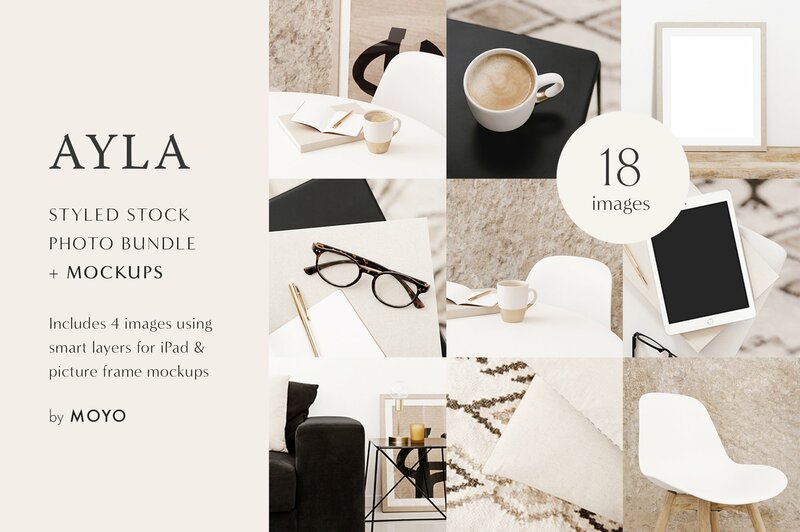 Photoshop CS4 or above is required for the mockups.